Ophthalmology is the field of medicine that studies the physiology, anatomy, and diseases that pertain to the human eye. In the past few years, the global demand for a variety of ophthalmic devices has significantly increased, driven by rising incidence of eye diseases such as macular degeneration and diabetic retinopathy. Numerous other factors including the larger prevalence of lifestyle diseases, growing geriatric population, and greater government support directed towards the improvement of healthcare infrastructure in emerging economies has also significantly fueled the global demand for a variety of ophthalmic devices. Considered one of the most important devices used for the diagnosis and treatment of a number of eye conditions, ophthalmic lasers have also witnessed a massive rise in demand in the recent past and the trend is expected to remain strong in the next few years as well. Vision loss and eye disorders are two major public health problems facing the world today. A variety of ophthalmic laser devices have been introduced in the global market in the past few years and the market today is characterized by greater improvements in ophthalmic technology which results in restoration in vision, and better treatment of eye disorders and diseases. Owing to the minimally invasive nature and high rate of accuracy of laser treatments, greater number of people are preferring laser surgeries for rectifying ophthalmic disorders. The report examines the global ophthalmic laser market in great details by segmenting it on the basis of criteria such as product, application, end-user, and geography. On the basis of product, the market has been segmented into excimer lasers, femtosecond lasers, argon lasers, diode lasers, Nd:YAG lasers, and SLT lasers. In terms of application, the global ophthalmic laser market has been examined for ophthalmic conditions such as glaucoma, diabetic retinopathy, refractive error corrections, and macular degeneration or age-related macular degeneration (AMD). The key end-users of ophthalmic lasers examined in the report include ophthalmic clinics, hospitals, and ambulatory surgical services. 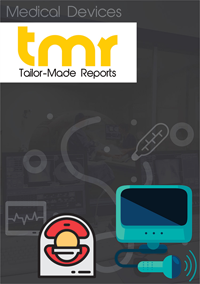 Geographically, the global ophthalmic devices market is classified into North America, Asia Pacific, Europe, Latin America, and Rest of the World. North America presently leads the global ophthalmic laser market owing to the high incidence of age related eye disorders like macular degeneration, cataract, diabetic retinopathy, and glaucoma that lead to visual impairment in the region. It is however expected that over the report’s forecast period, the Asia Pacific ophthalmic devices market will witness the highest rate of growth in the overall market for ophthalmic devices. The Asia Pacific market for ophthalmic devices will mainly be driven by robustly growing ophthalmic devices markets in India and China. The main factors driving the ophthalmic devices market in the developing economies include greater government support, and a large population of patients. Lack of healthcare insurance, poor infrastructure in primary healthcare, and a general lack of awareness amongst the masses about eye diseases are some of the major growth restraints prevailing in the global ophthalmic devices market. Highlighting the competitive landscape of the global ERP software market, the report profiles some of the key players in the market such as Ellex Medical Lasers Limited, IRIDEX Corporation, Valeant Pharmaceuticals International, Inc., Topcon Corporation, Ziemer Ophthalmic Systems AG, SCHWIND eye-tech-solutions GmbH & Co. KG, Novartis AG, Quantel Group, NIDEK CO., LTD, Carl Zeiss Meditec AG, Abbott Laboratories, Inc., and Lumenis Ltd. The report provides insightful information about the players covering product specification, and revenue generated by the sales of ERP software products.